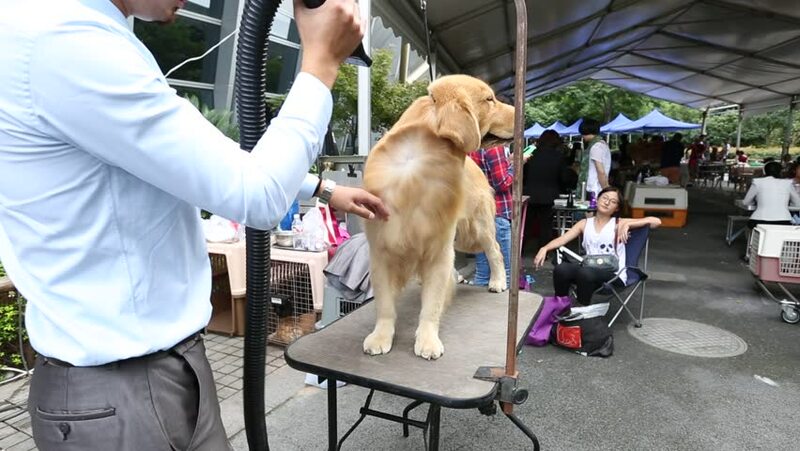 Hangzhou - September 21: hangzhou sports park, Dog owners give yellow golden retriever dog grooming, on September 21, 2014 in hangzhou. hd00:29PASADENA, CA - OCT 12, 2014: Jet Propulsion Laboratory holds its annual Open House on Oct 12, 2014 in Pasadena. Families with an interest science come to see replicas of Mars Exploration Rovers. 4k00:40Krakow, Poland - May 5, 2018: Purebred horses in festive rich harness. Walk in a carriage in an old city. hd00:07BANGKOK, THAILAND - APRIL 27, 2014 : Unidentified passengers arrive at check-in counters at Suvarnabhumi Airport . The airport handles 45 million passengers annually. hd00:14Parker, Colorado, USA-May 29, 2016. Weekend shopping on the Farmers Market in the Summer.